Find out why there are so many dogs in rescue – and what you can do to help! Hundreds of dogs will die this Christmas, simply because there are too many of them and not enough homes. Are Two Oldies better than One? We usually have lots of pairs of homeless oldies listed on the website – each dog waiting for a new loving home with his or her best friend, often a lifetime companion. 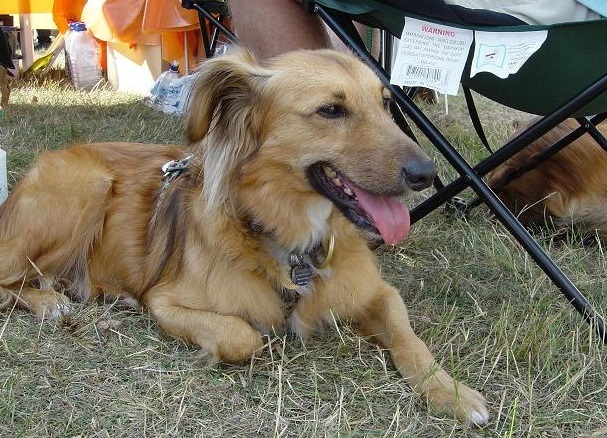 Read Frances’ account of her experience of adopting a pair of beautiful oldies. If you are considering rehoming a dog from a private owner, then you should be aware that you will not have the advice or back up that a reputable rescue would be able to give you. 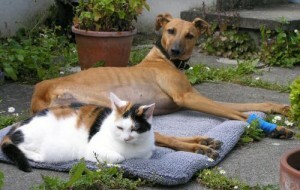 What questions should you ask if you are considering a private rehoming? From the effects of old age to conditions like cataracts and glaucoma, many things can cause sight problems in dogs. Read about some of the causes, how they affect dogs in the home, and what you can do to ease the transition of a partially-sighted or blind rescue dog into his new home. How Many Stray and Unwanted Dogs? In the UK, we breed and import more dogs than we can find homes for – see our articles on Greyhound racing and Puppy Farms to find out more about this. The Dogs Trust monitors the numbers of stray dogs collected by local authorities, and reports that 105,349 stray dogs were collected by local authorities … Continue reading How Many Stray and Unwanted Dogs? Hearing loss is something that many oldies – human and canine alike! – have to deal with. Some level of deafness often affects dogs whom the Oldies Club helps, and it can take various forms. Learn what to look out for in your dog, and how to deal with deafness. Many people think of greyhounds purely as racing dogs, and wouldn’t think of taking one as a pet. Yet retired or unwanted racing greyhounds can make wonderful pet dogs.